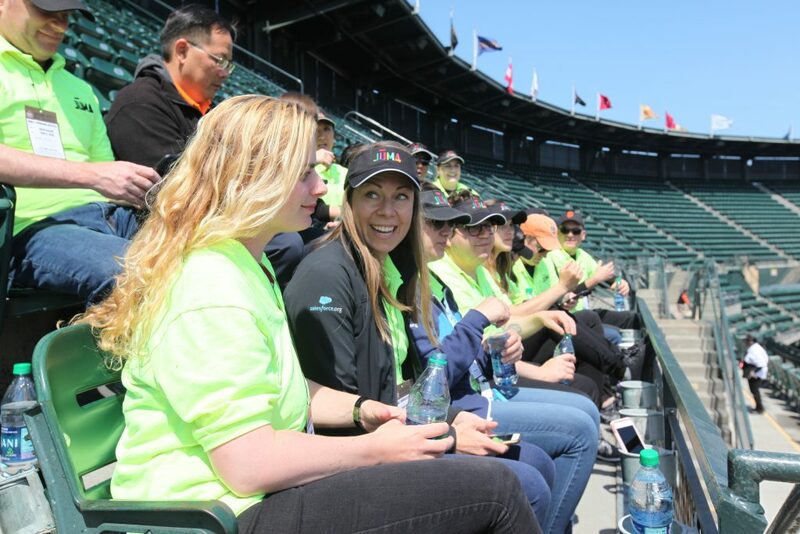 Last week, at a recent home game in which the San Francisco Giants took on the Arizona Diamondbacks at AT&T Park, volunteers from Salesforce.org came out for JumaDays to spend a day in the shoes of our Juma youth. And they don’t call them “sales force” for nothing. Last week’s JumaDays broke records. Salesforce.org brought in a crew of 20 volunteers—the highest turn out of volunteers this year from a single company. Juma’s National Development Associate Sam Erwin said last Wednesday’s group of volunteers was the most dedicated he’d seen. 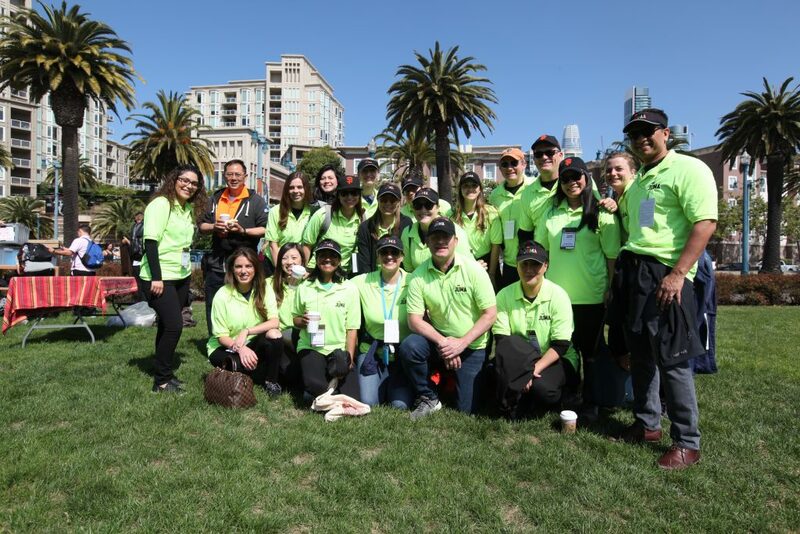 Toward the end of the game, in the 7th inning, when most vendors return to the commissary and call it a day, Salesforce volunteers remained out in the stands working overtime. Altogether, volunteers raked in a record $9K in sales, $3.6K of which came solely from vendors working the stands. One volunteer even broke this season’s record for most sales by a single volunteer vendor. As we say in Juma, “It starts with a job.” We asked our volunteers about their first jobs and the lessons they learned that they’ve taken throughout the rest of their professional careers. Julia Kim, a Finance Manager, said her first job was working the front desk at a biotech company in Potomac, Maryland. She was still in high school when she started the assignment through a temp agency.. Kim said she had a steep learning curve on how to handle a switchboard. “I didn’t last very long,” she admitted. that first challenge gave her the experience and the confidence to improve at the next assignment and the next one after that. David Averill, Senior Director of Global and Nonprofit Alliances, said his first job was at 15 years old at “Frank’s Nursery & Craft” in Detroit, Michigan. He was basically the “stock boy” and he had a variety of duties at the nursery. While he did not have a specific role, he said he learned to show up on time, work hard, and how to handle money, and, of course, enjoyed making it. Ben Woo, an account executive, and the son of Chinese/Vietnamese immigrants said his first job at age 12 was sweeping floors at a National Dollar Store in Oakland. “I wish you guys were around when I was looking for a job at that time,” Woo said. He said he grew up in one of the toughest neighborhoods in Oakland, and that courage and determination helped him to follow a career.